Mr. Ahmed Osman Geele, the owner of GSK firm took a loan from BCI Mer Rouge, which is a branch of the French based bank by the name of BRED. The loan was paid by BPCE bank which is based in Djibouti and granted it to Mr. Ahmed Osman Geele on the basis of setting up the first Coco Cola plant in Somaliland. Mr. Ahmed Osman has taken the Bank Loan while he was in Djibouti and as a Djibitoutian citizen but he later relocated to Somaliland as his homeland. Deputy director of BRED, which also runs BCI Mer Rouge and the Director General to the branch in Djibouti, Mr. Nadhir Zouaghi came to Somaliland on 12th March, 2019. Both officials have asserted that they owe 20 million USD to the GSK firm which Mr. Ahmed Osman Geele owns. Somaliland president Mr. Musa Bihi Abdi has appointed commission headed by the current finance minister, Mr. Sa’ad Ali Shire ex-central bank governor, Mr. Mohamed Abdi Ibrahim and the police commissioner Mr. Abdilahi Fadal Iman. The Bank which gave the loan to GSK firm stipulates that the credit must be paid by installments according to the terms of the credit agreement that it signed with GSK. The GSK owner, Mr. Ahmed Osman Geele has admitted that he took the loan from the bank but argued that part of his wealth has been confiscated in Djibouti. Mr. Geele cannot travel to Djibouti to the conflict with the government of Djibouti and dragged his feet to repay the credit that he borrowed from the French Bank in Djibouti. The French ambassador to Kenya, Antoine Sivan arrived in Somaliland on the 15th of March, 2019 who was holding a copy of the verdicts reached by French and Djibouti courts where Mr. Ahmed Osman Geele borrowed the 20 million USD loan from the French bank based in Djibouti. The French ambassador has also said Mr. Ahmed Osman Geele was sued at the INTERPOL. The government of Somaliland has argued that it has the jurisdiction to fulfill cases in Somaliland courts once Mr. Geele is Somaliland citizen. Mr. Antoine Sivan, the French ambassador has argued that Mr. Geele took the loan while he was a Djiboutian citizen. 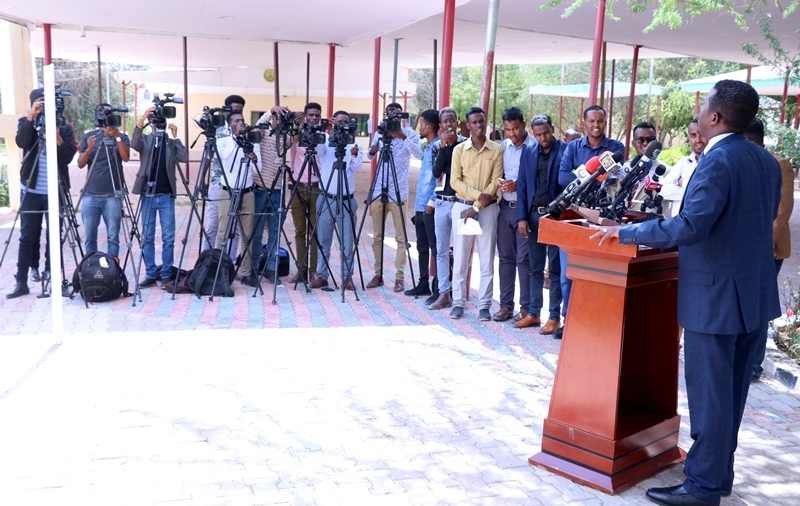 Somaliland has come to the conclusion that the case will be decided in the courts while it was not considered on the deliberations from French and Djibouti courts. Mr. Ahmed Osman was told time and again that he should repay the loan as he admitted borrowing it but he dragged his feet to repay the credit. The French bank has hired Somaliland lawyer while all the decisions from French and Djibouti courts were seen by the ministry of foreign affairs and justice ministry for verification if the documents are genuine and issued by the courts. He took the papers from the ministry of foreign affairs and the justice ministry of all the documents from the french and Djibouti courts which is a total breach to country laws. He submitted the documents to traditional elders who unknowingly of the matter condemned the government of Somaliland. 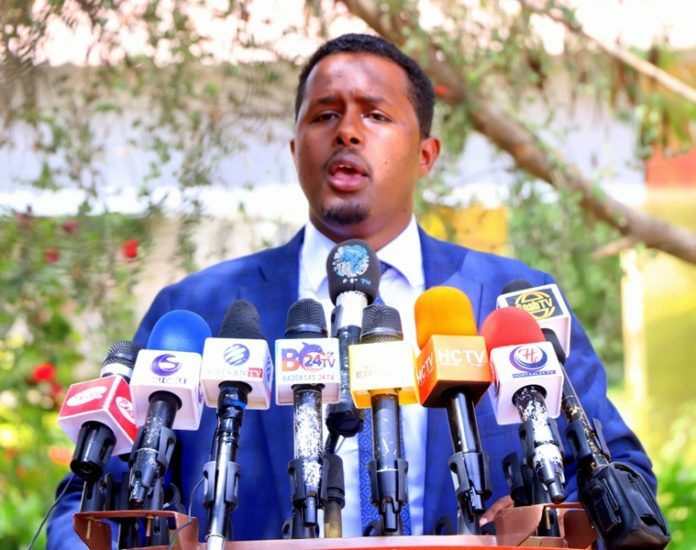 He lied about the papers that he took from the ministries which was addressed to Somaliland courts and apprised of his traditional elders that the government has issued an arrest warrant. Mr. Ahmed Osman Geele has admitted that he took the loan and that INTERPOL is seeking for his arrest. Mr. Geele has been accused of violating the country laws and instigated clan wrath, the country was on the brink of instability and the world attention was focused on Somaliland as place of sanctuary for people who take loans and hide from law enforcement agencies. The government of Somaliland has done all it could to safeguard Mr. Ahmed Osman Geele and his GSK firm rights and wealth as we protect the rights and wealth of all citizens. Somaliland and its people are seeking recognition and will avoid Somaliland to be depicted as no man’s land where there is no law and order and people who took loans from overseas banks find a sanctuary.